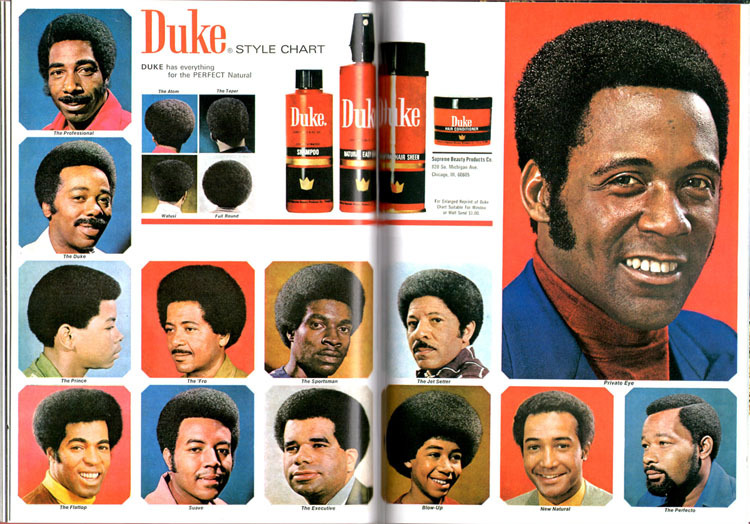 For now, this Duke style chart from 1972 caught my eye. Even though the afro hairstyle lives on in various forms today, I just don't think it looks as cool as it did during its heyday - when else could you ask for the "Atom" style and leave knowing the back of your 'do looks exactly like an atomic bomb cloud? Heh Heh. 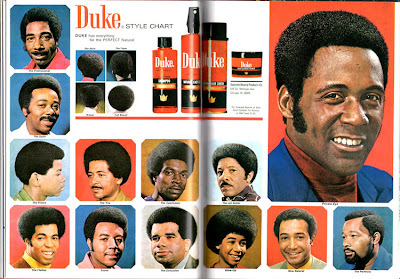 My old man used to have charts in his barber shop that this advert reminded me of! The guy in the main pic on the right looks familiar to me. I want to say he's Richard Roundtree, but I think it's better to say he's just Roundtree-esque! :) I do love me some fro action. Throw a 'stache on the guy and it's machismo heaven!